Are you seeking professional development opportunities that lead to a masters award? For general enquiries, please contact +44 (0)1752 585334. We have discontinued the IMP from May 2015, offering modules on the IMP programme now only for students enrolled prior to this date and within their five years registration. We have instead developed a new MA programme, replacing the IMP. This launched in September 2016 providing some exciting new learning opportunities. We will continue to do all we can for past IMP students to see them through to achieving their masters either on the IMP route or via the new MA but please be in touch if you need to talk over the options open to you. Please note too that IMP information on these pages may be superseded by the latest University requirements, such as in regard to fees. Again, we will be happy to talk over changes. Contact your tutor or julie.anderson@plymouth.ac.uk. The chance to build up credits towards a variety of nationally recognised awards. For more information about non-credit rated module fees, email artshumadmin@plymouth.ac.uk. Price is negotiable for groups of ten or more in schools. For further information on funding, please visit www.plymouth.ac.uk/money or view our current fees for 2015/16 taught postgraduate students. MA: Education (Teaching Pre-University Mathematics and Statistics) - pathways leading to named awards in Teaching Pre-University Mathematics (and Statistics) - please enquire for details. 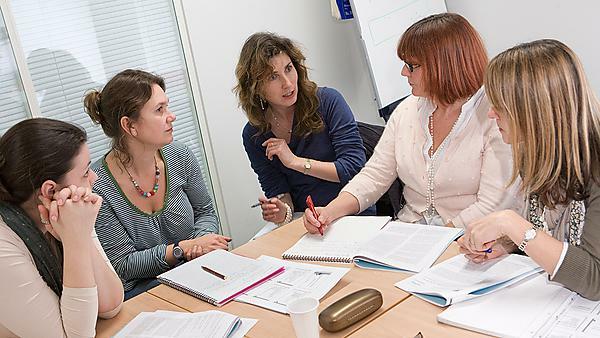 The National Award for SEN Coordination is a nationally approved qualification for teachers in the role of special educational needs co-ordinator (SENCO). You can apply for our standalone masters level modules offered in 2015/16 using the following Short Course application form. These are modules that we are building our new programme around, so when the new programme properly launches in September 2016 the credit from these modules will be able to be brought into the new programme. While it will not be possible for students new to postgraduate study to begin a dissertation in 2015/16, we expect that there will be a strong new dissertation programme from September 2016. If you are interested in entering into our new programme at dissertation stage, we recommend that in 2015/16 you undertake MERS502 Researching Education Practice in Context to prepare you for Masters level research. If you wish to apply to have previously achieved learning accredited towards this programme please download and submit the Prior Certificated Learning form with your registration form. If you are a new or relatively new student to the IMP we strongly recommended you sign up for our two ‘key’ modules from the four you need for the PgDip. The first 30 credit module is Contemporary Educational Thinking (MEPD517); the second, Researching Education Practice in Context (MERS502). You are then open to choose other modules to make up the 120 required (for PgDip). These cover professional writing, behaviour, mentoring and much more. The MA can then be completed by undertaking a dissertation in an area of your own choosing. These two modules have been created by the IMP team to work together to create a ‘key’ to unlock the rest of the programme: the first ensures that you have a complete and up-to-date introduction to educational ideas and their relevance to practice in your context; the second ensures that you are well prepared, in methodological terms, to undertake your dissertation, which involves a research project. These modules generally run over three Saturdays with directed study between sessions and/or may also run online. This is in response to the fact that many of you tell us twilight sessions after work can be difficult to attend. For some of you following particular pathways, or with special professional circumstances, these modules might be substituted for other options and/or undertaken in a different order. However, we recommend them as starting points to provide clarity and structure and ensure that studying on the IMP is as successful and enjoyable an experience as possible. You are most welcome to discuss the above with the Programme Lead for the Masters in Education (IMP) using the contact details on this page. Rob talks about what it's like balancing full-time teaching with study, and how his masters’ research enhanced his professional practice.